If you're an active member of the Tumblr blogging community, then you know just how big of a deal animated GIF images are on this platform. Besides maybe Reddit and Imgur, Tumblr is the place you want to be if you absolutely love GIFs. Giphy gave GIF lovers something they really needed—a search engine for finding GIFs according to what's trending or by entering specific search terms. Emotional reactions and pop cultural trends are extremely popular in particular, and Giphy has become a really great source for this type of content. insert GIFs into reblogged posts. If you regularly go searching for GIFs on other websites and end up saving them to your computer for future use, this little feature is going to save you a lot of time and frustration from using that method. To see exactly how to use Tumblr's GIF search engine, browse through the following screenshots. For this tutorial, I'm going to show you how to use Tumblr's search engine feature on the desktop web using the screenshots, followed by brief explanations for how to do the same on the official Tumblr app as well. From your Tumblr Dashboard page, click the Aa button at the top or the pencil button in the top right followed by the Aa button), which allows you to create a new text post. You should see a menu of formatting options within the text box, one of which is a GIF option. When you click it, a collection of GIFs will open in another box with a search function at the top. You'll a small menu of formatting options in the bottom left corner of the text box. Tap the GIF option to open the GIF library and search function. You can scroll through the GIFs that are hot right now if you're not set on a particular search, or you can find more specific results by entering whatever words, phrases, or even hashtags to look for more specific GIFs. What's really great about this little feature is that you can see GIFs in full animation as you search, even before you choose one. In this example, I'm searching for a funny kitten GIF, so I'll just do a simple search for "kitten." When I find one that I like, I'll click on it to insert it into the post. When you've found the GIF you want to include in your post, just click or tap it to automatically insert it into your text post. A credit link is also included, and when you publish the post, the original creator will receive a notification that you shared their GIF. You can publish the GIF as is or add additional information like the title, tags, additional text, additional GIFs or other media and formatting features. When you like how your post looks, you can preview it, put it in your queue, or publish it immediately. Keep in mind that this is a text post, which is different from photo posts or photoset posts you can create from the dashboard. The GIFs you use from Tumblr's search function in text posts will appear large inside Tumblr, but on your actual blog (found at username.tumblr.com) it will be reduced to its original size. Tumblr isn't just about posting your own stuff. 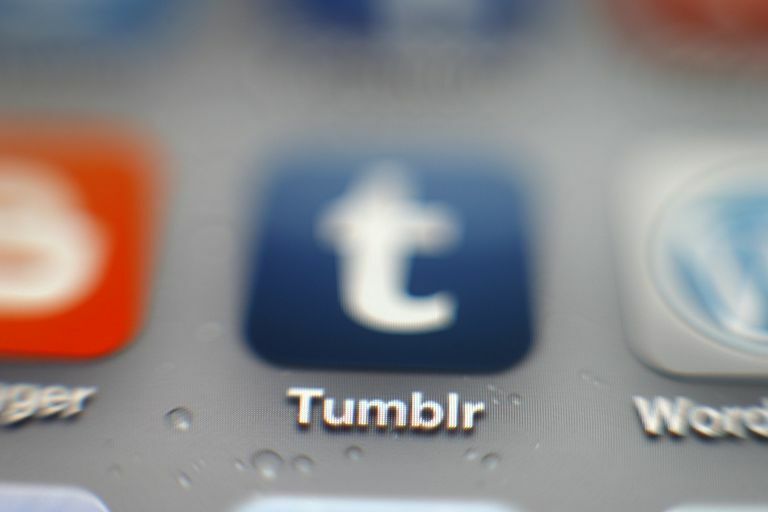 It's a community-driven viral powerhouse of reshared content—or "reblogged" content in Tumblr-speak. Users absolutely love to insert reaction GIFs in the captions of other users' posts before reblogging them, and in many cases, it's those GIFs included by other users that make the post so shareworthy. You can use the exact same strategy outlined in this tutorial for adding GIFs to other users' posts that you want to reblog. Simply click the reblog button and look for the GIF button in the formatting options to open the GIF library and look for a GIF to add to your reblog caption.